Yes, our family is quite centered on food and especially when we travel, that’s the first thing we look out for. The best (and most authentic) food spots in the area. Be it in a little food stall along the road, a hole-in-the-wall in some unlikely street, or a well-known restaurant, you name it, and we will make a beeline for it. What the locals deem as the best, we will go there. Hence, on this particular trip to Cebu, we wanted to check out the two names holding court in the kingdom of Cebu lechon bestsellers. One is The Classic and one is The Gamechanger. 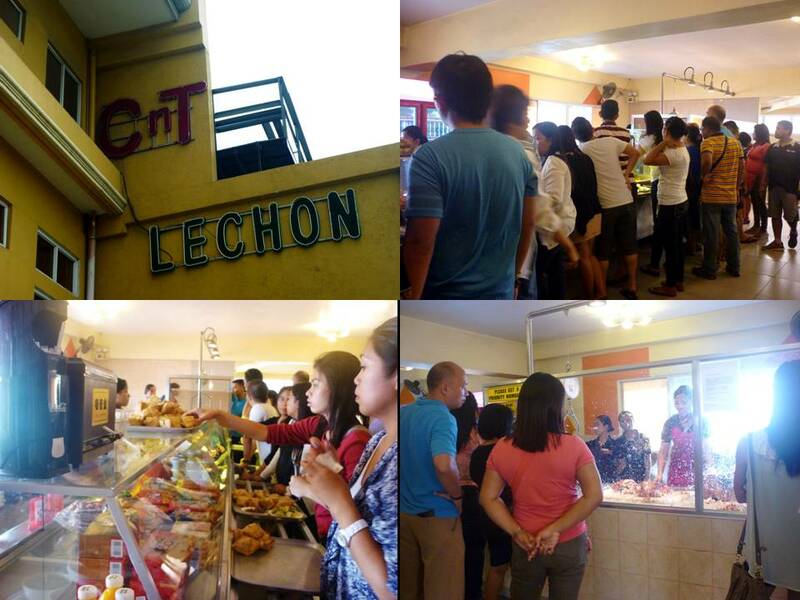 CnT Lechon is the singular name on every local’s mouth when we ask them where we can get the best lechon in Cebu. My mom has been here several times and she had always bought a kilogram or two of the good stuff to bring home to us whenever she went to Cebu. But since we were in the area this time, I wanted to see it up close and personal. We headed to the CnT branch near SM Cebu. It was a Sunday morning, and my, my, my, the place was PACKED. There were hardly any empty seats left and there was quite a crowd placing orders in the cashier area (CnT is a self-service restaurant, mind you). Another interesting thing I took note of was that they were serving another Cebu staple, puso (cubes of cooked white rice beautifully wrapped in intricately woven banana leaves). I had thought it was some sort of rice cake at first, but when I saw people ordering it with the lechon, Oh! Now I remembered it. When I was taking up my pre-med studies at the Ateneo De Manila University, I had lived in the on-campus dorm and I had friends from Cebu. One of them kept mentioning puso to me and now I was face-to-face with what he was talking about. With that, we ordered a kilogram and a half of the stuff to bring home to Manila. Our trusty cab driver informed us we had to reserve the lechon as soon as possible, because it tends to run out as early as mid-afternoon. Mission accomplished then! But, of course, what’s the fun without competition? Zubuchon caught my attention because not only was the hype quite infectious, but they also created quite a sensation with their claim to fame: Anthony Bourdain proclaimed it, “The best pig ever!”. With a statement like that from someone who knows his food, all right, (as this is the chef of culinary adventure programs, the most notable being No Reservations), who can ever contest that? You have no choice but to try it. 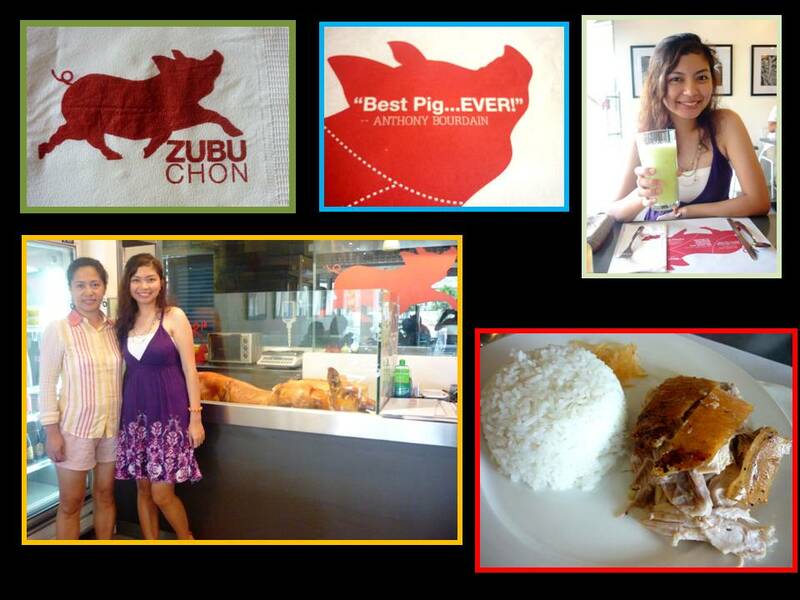 So, anyway, we went to the Zubuchon branch at One Mango Mall. 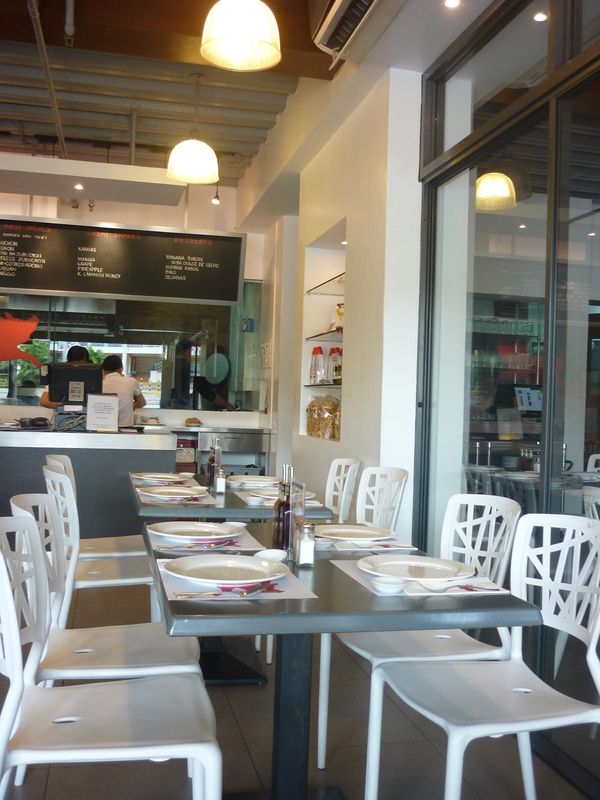 The first thing I noticed was the very clean look and the bright ambience of their interiors. 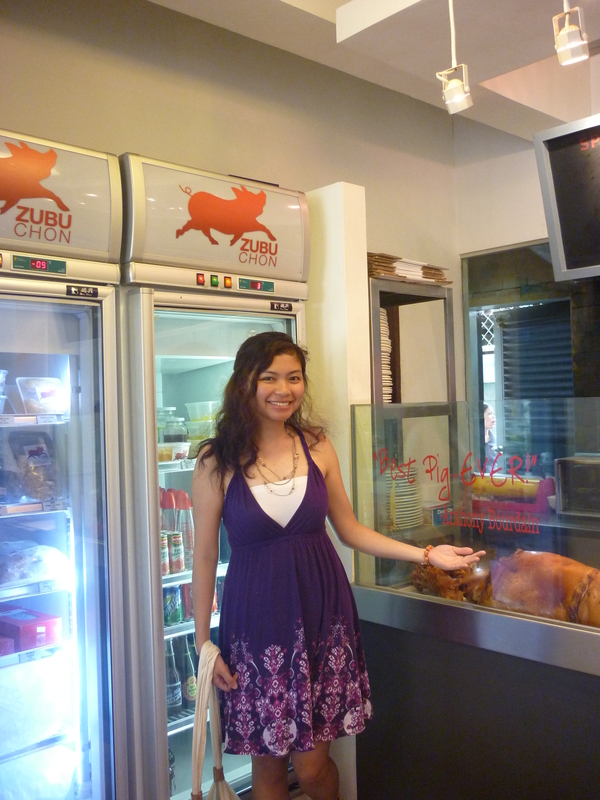 Then, of course, I noticed the humongous roasted suckling pig near the cashier and I asked for a picture with this iconic pig. I read on the website http://www.everythingcebu.com (I like to do my research when I travel, which is rather nerdy of me, but it serves me well hahaha) that Zubuchon does not source its pigs from commercial piggeries, but rather they source the pigs from certain individuals and they make sure all the herbs and spices they use in cooking the pig are organic. And, despite its game-changing ways, don’t you worry, authentic food lovers, Zubuchon still follows the old-fashioned way when it comes to roasting. It is still done over charcoal and not in the oven or not done mechanically (information courtesy of the same website). So, why don’t I just quit talking and start eating? Mmm, oh, yes, this definitely DOES NOT have salt. The flavor is mild, so you have to put your own sauce (I mixed soy sauce, white vinegar, and chili oil for this one), but the meat is incredibly soft and melt-in-your-mouth. God, I just love Cebu lechon. But my favorite part above it would have to be the oh-so-crrrrrispy skin. It has a loud crrrrunch every time I bite it. Darn it. All cholesterol can go to hell now, I will eat and eat and eat. Be sure to wash the lechon down with their trademark iba shake (also known as kamias shake, made from a small sour fruit known in the scientific world as Averrhoa bilimbi. You’re welcome to look it up, thank you very much.) The tartness of the shake will wash down all the umay (feeling like you’re sick of a particular food because you ate too much of it) from the lechon. So, there it is, folks. The two contenders in the kingdom of Cebu lechon bestsellers. By all means, please taste for yourself and let your tongue decide. As for me, I’d still go to them both. Because in my tastebuds, variety makes for a yummier world.